FIT Acquisitions Need To Sell Your House Fast? We Buy Houses! No Fees. No Commissions. Full Cash Offer In Your Pocket..
We Give You Cash. You Choose The Closing Date. We Pay All Costs! Who Buys Houses Quickly For Cash In Houston Texas? We Do! We Buy Houston Houses At Any Price, In Any Condition, And In Any Neighborhood In Houston And Other Parts of Houston Texas. Check Out How Our Process Works. We’re Ready To Give You A Fair Offer For Your House. If you want to sell your Houston house, and sell it fast… we’re ready to give you a fair all-cash offer today. When life throws you a curveball, the last thing you should need to deal with is selling your property. Getting your home on the market and making a sale can take months — and when you’re trying to avoid foreclosure, facing divorce, or are upside down in your mortgage, you don’t have that kind of time. That’s what we’re here for. Get Your Cash For Your House. We’ve worked with Houston TX homeowners in all kinds of life events, and with all kinds of properties. Did you inherit an old, undesirable, and unwanted home? We’ll buy it from you. Do you have terrible rental tenants that just won’t leave? We’ll buy that too — AND we’ll get rid of the tenants. There isn’t a real estate problem too big or too tricky — we’ve seen it all. If your house has fire or water damage, is dirty, in disrepair, or vacant — even uninhabitable all together — we’re ready to work with you to make you an all-cash offer and get this property off your plate once and for all. Sell your property now for cash, fast! One of the biggest perks of selling to us is the fact that we can close whenever you’re ready. Need to be out FAST? We can close in a week. Know you’re moving in four months, but just want to be done with the sale now and not have to worry? We can wait for your timeline. When You Can’t Deal With The Hassle Of Selling The Traditional Way, Contact Us! When most people are ready to sell their home, they assume the best way to do it is through a traditional agent. But the truth is, there are many cases where a traditional agent can’t sell your house, or can’t sell it as quickly as you need them to. You’re off the hook for paperwork — we do every last bit for you! 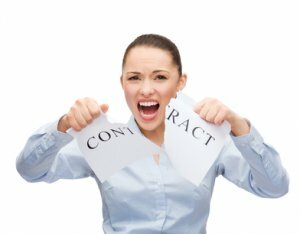 All that hassle of working with an agent and outside buyers can add a ton of stress and months to the process. And truthfully? In the end, after paying the agent’s expensive fees, you may or may not come out on top. As soon as you fill out our short information form, we’ll know very quickly if we can help you. 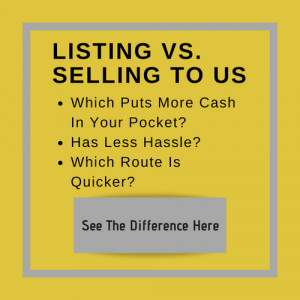 And unlike selling through an agent, you don’t have to wait to see if the buyer can get financing… we’re ready to buy your home right now with our own cash! We work differently at FIT Acquisitions. When you contact us and submit the short property information form below, we’ll give you a fair all-cash offer on your house within 24 hours. Our goal is to help make your life easier and get you out from under the property that’s stressing you out… while still paying a fast, fair, and honest price for your house. This is our service and promise to you! Not all homeowners are facing life crisis or unexpected life situations. Sometimes, property owners are simply too busy to take the time to do all things that typically need to be done to prepare a house to sell on the market. If that describes you — you’re just ready to be DONE with your property so you can get back to doing what you love — just let us know about the property you’d like to be rid of and sell your house fast for cash. Talk to someone in our office before submitting your property information by calling us today at 713-999-0124 – stop stressing on “how am I going to sell my house fast” – make that call right now! Luciano (acquisitions manager for FIT) helped me understand how to deal with the liens on my home. He was always polite and flexible, and I chose to sell my property to FIT because I knew it was the best option for me and my family. Everyone at FIT made the whole process, from the first meeting to the closing, simple and straight forward. FIT Acquisitions helped me and my family with our inherited house. In addition to making the best offer on the house, they helped us find an attorney and made sure the probate process went smoothly. I don’t think we could have sold our house if it wasn’t for them. I was trying to sell my house and didn’t know who I could trust. Moon (acquisitions manager for FIT) answered all my questions and gave me time to figure out what I wanted without making me feel forced. Though several buyers saw my property, I did not doubt in choosing to sell to FIT as they offered me the best deal in terms of price and simplicity.